Caratteristiche: Varietà di origine mediorientale, si è diffusa in tutto il mondo specialmente nei climi caldi dove fornisce i migliori risultati. L'intensa luminosità dell'ambiente siciliano unitamente all'unicità dei terreni lo elevano ai massimi livelli qualitativi. CARATTERISTICHE ORGANOLETTICHE: I suoi aromi di frutti di bosco si fondono con gradevoli note di cioccolato e liquirizia. Abbinamenti consigliati: Si accompagna con risotti alle verdure e spezie, carni rosse ai ferri, formaggi affumicati e alle erbe. "Decanter World Wine Awards" has rated the wine "Feudo Arancio Syrah Sicilia IGT, Sicily, Italy" from the vintage 2015 on 01.01.2017 with 84 of 100 points. "Wine Enthusiast" has rated the wine "Feudo Arancio Syrah Sicilia IGT, Sicily, Italy" from the vintage 2011 on 03.01.2013 with 87 of 100 points. "Wine Enthusiast" has rated the wine "Feudo Arancio Syrah Sicilia IGT, Sicily, Italy" from the vintage 2006 on 02.01.2009 with 86 of 100 points. "Wine Spectator" has rated the wine "Feudo Arancio Syrah Sicilia IGT, Sicily, Italy" from the vintage 2006 on 30.06.2008 with 81 of 100 points. "Wine Spectator" has rated the wine "Feudo Arancio Syrah Sicilia IGT, Sicily, Italy" from the vintage 2004 on 31.05.2006 with 83 of 100 points. "Wine Enthusiast" has rated the wine "Feudo Arancio Syrah Sicilia IGT, Sicily, Italy" from the vintage 2004 on 07.01.2006 with 87 of 100 points. "Bob Campbell" has rated the wine "Feudo Arancio Syrah Sicilia IGT, Sicily, Italy" from the vintage 2002 on 10.09.2005 with 84 of 100 points. "Wine Enthusiast" has rated the wine "Feudo Arancio Syrah Sicilia IGT, Sicily, Italy" from the vintage 2002 on 02.01.2005 with 86 of 100 points. "Wine Enthusiast" has rated the wine "Feudo Arancio Syrah Sicilia IGT, Sicily, Italy" from the vintage 2001 on 10.01.2003 with 88 of 100 points. 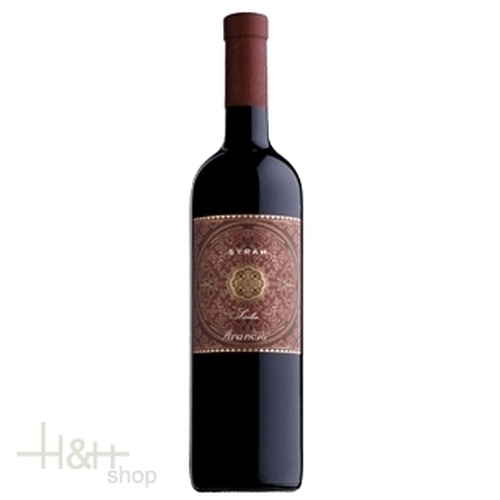 "CellarTracker" has rated the wine "Feudo Arancio Syrah Sicilia IGT, Sicily, Italy" from the vintage 2007 with 88 of 100 points.